As the sun came up on June 25‎, Jennifer Boyd, Ryan Fogarty and I reached the summit of Mount Kilimanjaro in Tanzania. It was the culmination of a year of planning, training and fundraising. We conquered Kilimanjaro and raised $500,000 to help Rotary International eradicate polio. Day 2. It's only our second day, and I am already feeling tired. I was so focused on where I placed every step that I didn't really see my surroundings. I asked Jennifer (facetiously), “Why are we doing this?” With no hesitation, she replied, “Do you recall that two-week-old girl I held and vaccinated in India last year?” After that, I focused on the image of Jennifer holding that baby girl, and of our 1,000 donors who supported us back home. I am determined not to let anyone down. Jennifer Boyd holding a two-week old baby girl she had vaccinated in India. Climbing Kilimanjaro is not just a physical challenge, it is also very much a mental challenge. The challenge is to not quit, and to push your body and pursue your goal. It is a true test of willpower. Our inspiration, Conquer Kilimanjaro, Conquer Polio, was so strong, there was no quitting for anyone on our team. Day 3. We woke up to the sight of majestic Mount Kilimanjaro. We had camped above the clouds, at 3600 metres, and were seeing the peak for the first time. We were energized. Our goal was within reach. We awoke on Day 3 to this sight – our first view of the peak of Kilimanjaro. After that initial excitement, everything becomes a blur. Not feeling quite so energetic; every step is an effort. Nonetheless, we push on. Day 5: Unable to keep any solid foods down, we started our longest day ‒ in the dark, each of us wearing a headlamp.Once again, I focus on the pair of boots in front of me. It's cold. Windy. I am panting like a dog with every step. We are all sleep-deprived and I am experiencing nausea, headaches and tingling fingers from the high altitude. Our pace is glacial: one half-step at a time. We finally reach the first peak at dawn. Our guides take our picture, high-five us and ask if we want to continue or return down the mountain. We continue, and in another two hours we reach the true summit. This climb was the steepest we had encountered. It's probably best that we climbed in the dark. Less intimidating. Mission accomplished: An exhausted but happy Ryan Fogarty, Jennifer Boyd and Raffy Chouljian on the summit of Mount Kilimanjaro. We were happy to have reached the summit, but were so exhausted, it was anti-climactic. Our bodies were oxygen-deprived, and we were desperate to get back down as soon as possible. Jennifer Boyd and Ryan Fogarty immediately after Ryan presented Jennifer with an engagement ring. Believe it or not, descending is not easier than ascending. The entire way up, you are focused on the pair of boots in front of you, carefully watching every step you take, too afraid to look around. (Apparently, at one point, we had hiked along a sharp drop. Fortunately, I was too oblivious to notice my surroundings most of the time, except when we stopped.) But coming down is more painful. Our muscles screamed from the lack of oxygen. The soles of our feet hurt with every step. Unfortunately, there was no alternative but to continue hiking. We had to climb halfway back down the mountain today ‒ 16 hours of hiking. By the end of Day 5, we'd walked approximately 30 kilometres, half of them in bitter-cold, sub-zero temperatures. Day 6: I was able to eat again, which was good, since we still had seven hours of hiking ahead, to get back to our bus. Wincing with every step. Our guides asked me several times, if I wanted them to carry my pack. They offered to get me a jeep to drive me the rest of the way back down the mountain. I declined both. I was determined to complete this challenge on my own. And I did. We travelled with the excellent Zara Tours. They organized our climb, picked us up at the airport, guided us up Kilimanjaro and back, and took us on a five-day safari, before driving us back to the airport. The support team on our climb, which included nine porters, three guides, a cook and a waiter, were wonderful. All we had to do was carry our snacks and clothes for the day. ‎Everything else was taken care of. When we reached camp each day, our tents were already set up and lunch was ready. Every morning, one of the staff members woke us up with hot tea, served in our tent, and a basin of hot water to wash.
Rotary International started vaccinating children against polio in 1979. 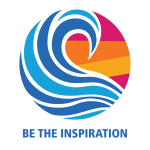 Rotary vaccinated six million children in the Philippines and eradicated the disease there. With the success of this program, in 1982, Rotary International committed to immunize all of the world’s children against polio. Polio is a highly infectious disease that primarily affects children under the age of five; it can cause paralysis within hours. About one in 200 becomes irreversibly paralyzed, usually in the legs. In 1985, just under 1,000 children were paralyzed with polio every day in 125 countries. Today, we have less than 50 a year in two polio-endemic countries ‒ Afghanistan and Pakistan. It is hoped that the world will be certified polio-free by 2019, and that we will have eradicated this disease once and for all. As of June 29, 2016, only 17 children have been paralyzed this year due to the wild polio virus. 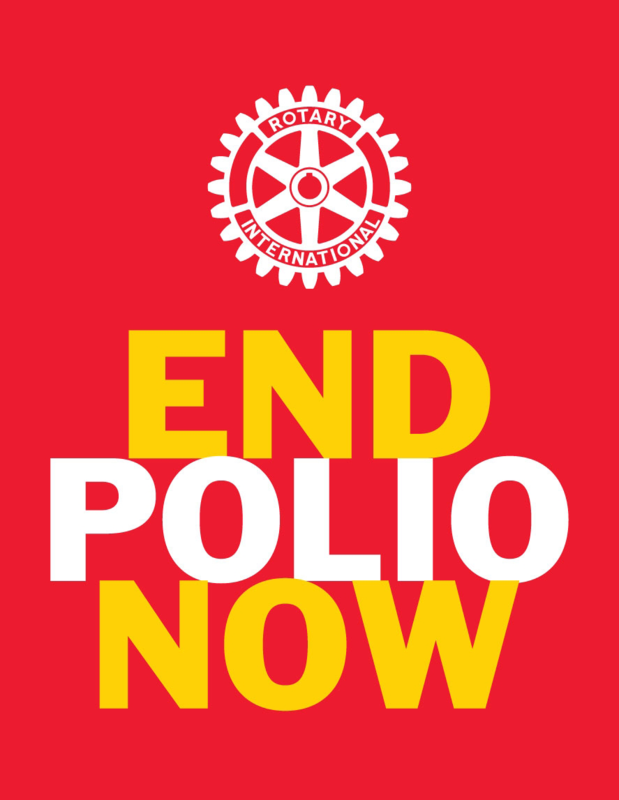 We are so close to eradicating the disease; please continue to support Rotary International’s 30-year effort to conquer polio. Your donation will be matched two-for-one by both our Canadian Government and the Bill and Melinda Gates Foundation. To donate, visit www.conquerpolio.org.